Carb cycling may be the happy medium you’re looking for. There’s a reason we tend to hate on carbs: Downing too many sweet treats, processed snacks, and sugary drinks are an easy path to weight gain. But that doesn’t mean carbs can’t be part of a healthy diet. Fibre-filled whole grains and nutrient-rich fruits and vegetables can satisfy your hunger and provide essential vitamins and minerals. Plus, carbs give your body the push it needs to get through a tough workout. So how can you cut back on the not-so-great carb sources and still include the high-quality carbs? Enter carb cycling: an eating plan that allows you to alternate between “low” and “high” carb days. But is that a legit way to cut back on carbs without going overboard? Here, you’ll learn everything you need to know about carb cycling, how it works, and whether or not it’s an effective way of reaching your weight loss and fitness goals. What is it carb cycling? “Carb cycling attempts to combine the pros and cons of low-carb dieting with carb ‘refeeding,’” says dietitian Christy Brissette. Typically, someone following this eating pattern would alternate between low-carb and high-carb days in an effort to promote fat loss, build muscle, and even boost athletic performance. How? Eating more carbs one day and cutting back on others allows you to slash your kilojoule intake without feeling like you’re on a diet. That’s why it’s popular among fitness enthusiasts who want to lean out but still have energy for their sport. Many people perform high-intensity exercise, such as weightlifting or running, on their high-carb days, so your body can focus on using up carbs for fuel. Since carbohydrates supply your muscles and brain with blood glucose (aka sugar), you’ll experience an energy boost to fuel athletic performance, says dietitian Ginger Hultin. Low-carb days are often reserved for lower-intensity exercise, such as yoga, or rest days. As you shift your carb intake, your kilojoules will shift with it. You’ll eat more calories on high-carb days and fewer kilojoules on low-carb days. So how do you determine your carb intake? “Carb cycling is theoretical, and there isn’t an established way of doing it,” says Brissette. Because some people choose to carb cycle for different periods of time, it’s hard to recommend a standard amount of carbs to eat on high and low days. The National Health and Medical Research Council recommends eating 45 to 65 percent of your kilojoules from carbs on a typical day. Carb cycling is a bit more extreme, with lower days aiming for 25 to 35 percent of kilojoules from carbs and higher days aiming for 65 to 75 percent. For the average 68kg woman eating about 6,695kJ (1,600cal) per day, that’s anywhere between 100 to 140 grams of carbs on low days and 260 to 300 grams of carbs on high days. Keep in mind that the higher end of the carb spectrum is typically most helpful for athletes doing consistent high-intensity exercise. The average person won’t need to max out on carbs, even on high-carb days. You will want to divide your kilojoules among carbs, protein, and fat based on your personal goals. Carbs and protein each provide 4 calories per gram, while fat provide 37kJ (9cal) per gram. “Since one size doesn’t fit all when it comes to macronutrients, it’s best to consult with a dietitian to determine your needs,” says dietitian Chelsey Amer. Your kilojoule and carb intake will totally depend on your current weight, activity levels, and fitness goals. 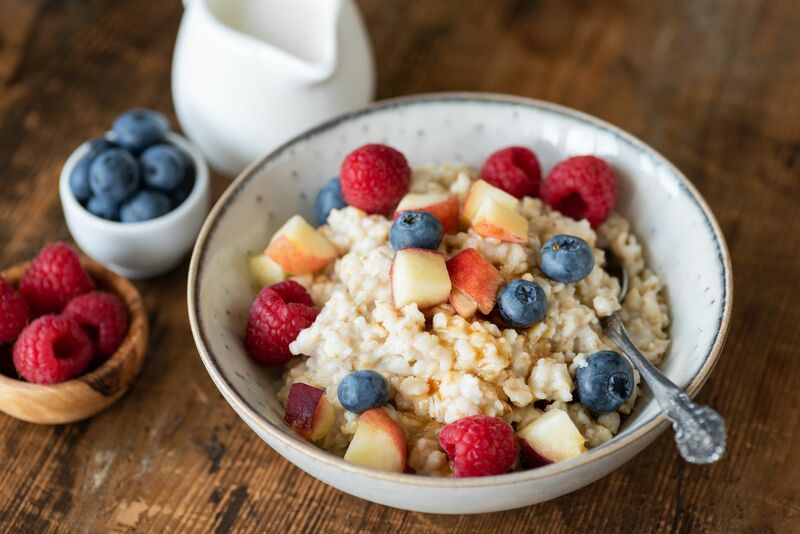 “It’s believed that higher-carb days can help keep your metabolism revved up while trying to lose weight and raise levels of a hormone called leptin, which promotes satiety, potentially helping you eat less and lose weight,” says Brissette. However, she adds, we don’t truly know if carb cycling is a safe way to lose weight because of the lack of research. Although many people swear by low-carb diets for weight loss (keto, anyone? ), a recent study of 609 overweight adults published in JAMA actually found that following a healthy low-carb diet for a year does not result in any more weight loss than following a low-fat diet. At the end of day, weight loss simply comes down to eating fewer kilojoules-and sticking to a diet that will keep you consistent. If you prefer to have some guidelines, and you’ve tried a low-carb diet but found it was too restrictive, you might want to give carb cycling a shot. “I’ve used it with some of my clients who are interested in low-carb dieting but find it negatively affects their energy levels, mood, or ability to push themselves during workouts,” says Brissette. However, because carb cycling requires so much measuring and counting (you’ll have to track your intake using a journal or app), it may feel like too much work for someone who likes a bit more wiggle room. If you think carb cycling may work for your lifestyle, it’s important to establish a calorie goal, as well as how many carbs you’ll aim for each day. Working with a pro will be your best bet here, says Amer, since some individuals require more carbohydrates than others. Regardless of the day in your carb cycle, it’s important to eat high-quality carbs that contain nutrients like fibre, protein, vitamins, minerals, and antioxidants. Choose carbs on the lower end of the glycemic index (meaning they won’t spike your blood sugar as fast), like sweet potatoes, lentils, and barley. Fruits and vegetables are also crucial, so make sure you load your plate with lots of colour on high-carb days, says Brissette. When you’re cutting carbs, it’s necessary to pick up the slack with the other macros, aka protein and fat. “It’s important to meet kilojoule needs,” says Hultin. “If a low-carb day is also very low in kilojoules because you’re not increasing your intake of fat and protein, you’re not giving your body enough fuel,” she adds. On low-carb days, increase your protein to 35 to 45 percent of your diet and fat to 25 to 35 percent. On high-carb days, make sure you still get at least 10 to 15 percent of kilojoules from protein and some healthy fats thrown in the mix. Your body needs carbs to function properly and cutting them out completely can spell trouble. Do not try carb cycling if you have a history of disordered eating, are pregnant or breastfeeding, or have diabetes. Bottom line: Carb cycling won’t magically solve your weight loss woes, but it may be worth trying if you’re frequently active and interested in trying a low-carb diet.